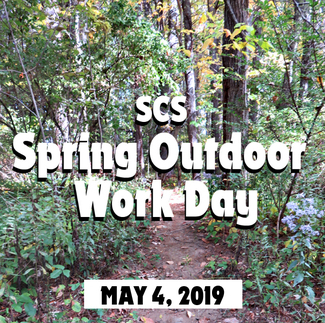 SCS Parent Volunteer Group: Spring Outdoor Work Day: MAY 4! Spring Outdoor Work Day: MAY 4! Join us for a spring outdoor work day! We are prepping our property for the installation of our natural playground. Wear long sleeves as there is poison ivy in some areas. Please note that for safety reasons, this is an adults-only event as heavy equipment will be used. Please indicate what you will bring.